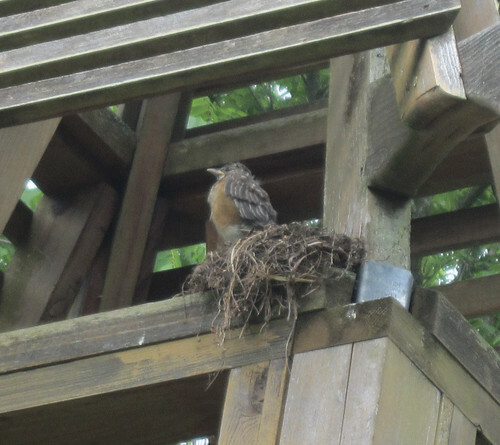 Since we are leaving at dark thirty in the morning for the first half of our drive to St.Paul, MN and won’t be back until next Tuesday, I thought it was a good idea to check the robin nest this morning. It’s a good thing I did or I would have missed them. 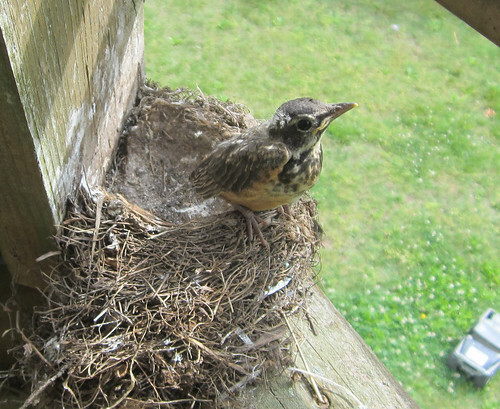 My last check on them was just three short days ago and they were all still in the nest. 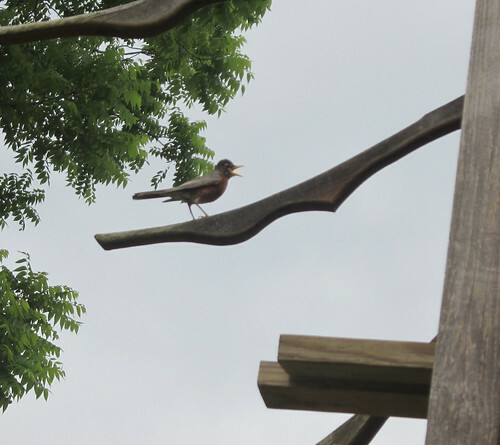 Today however I only found one lone fledgling. I suppose it will be gone too by the time we return. I wonder if it’s the one we saved? I will miss checking on their progress. This is the mama keeping a close eye on the remaining offspring. 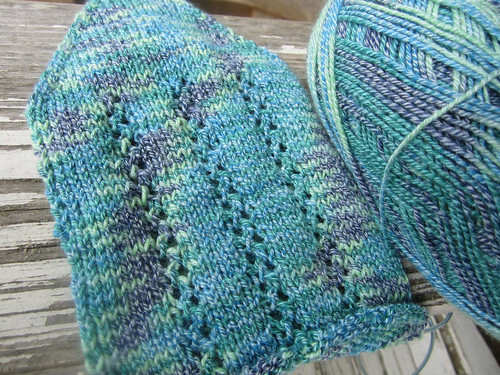 In knitting progress we have reached the end of the foot section and I will be starting the gusset and heel tonight. 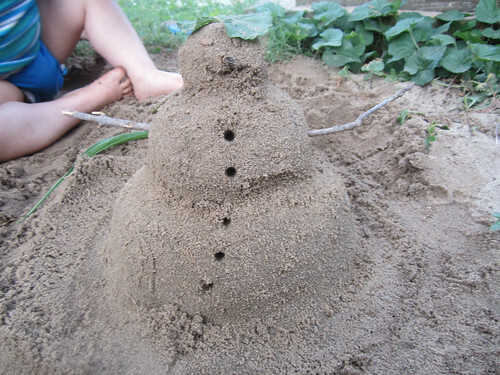 I found this “sandman” on my camera when I was uploading these pictures. LOL! My next post will probably be from Minnesota at Shepherd’s Harvest. 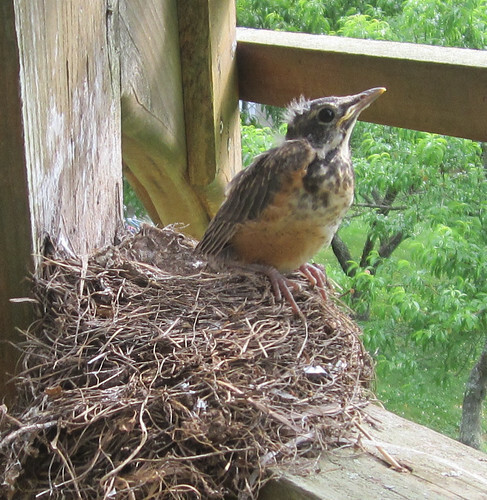 I wonder if the mama & papa robin will lay another clutch in the same nest this year? Seems like they’d have enough time to raise a second brood….